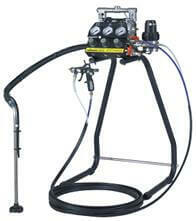 SPRAYMAQ is dedicated to the sale of Airbrushes for painting professionals with compressor. With us you will be able buy at good prices the best appliances or equipment of airbrushing, We know that we can meet you at the 100%, is by this that you are encouraged to contact with us through the two options that has: in ' contact ' or in ' request more information '. You can also call us and we will explain you the advantages and disadvantages of the Airbrushes. The best choice for the highest quality of coating. 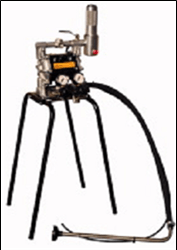 The Zip 52 is reliable, powerful and highly suitable for use with spray guns automatic and manual. It can be used in electrostatic systems, HVLP or purely conventional applications of spray of air for wood coatings, metal, plastic or leather. All ready-to-spray ZIP Finishing equipment including the WAGNER Fine Flow Controller (FFC): a product of precision pressure regulator, an anti-pulsaciones unit and filter product on a single computer. 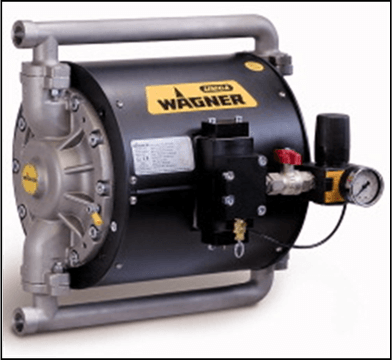 The solution 3 in 1 patented Wagner! The ZIP Eco Perfect Flow is the economical solution for low pressure with few pulse applications. 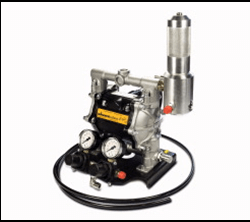 Is especially suitable for the field of electronic facilities 2K, or as feed pump for applications spray of air when no pressure regulator product with a low starting pressure of the pump must not be used. Sanders series cyclone, suitable for work in clean unconditioned places and all those where can project not spread abrasive. This Sander is equipped with a special nozzle, which closes the zone of impact of a Jet and a separate vacuum cleaner, to recover the abrasive continuously while working, avoiding dust and particle-free screenings.